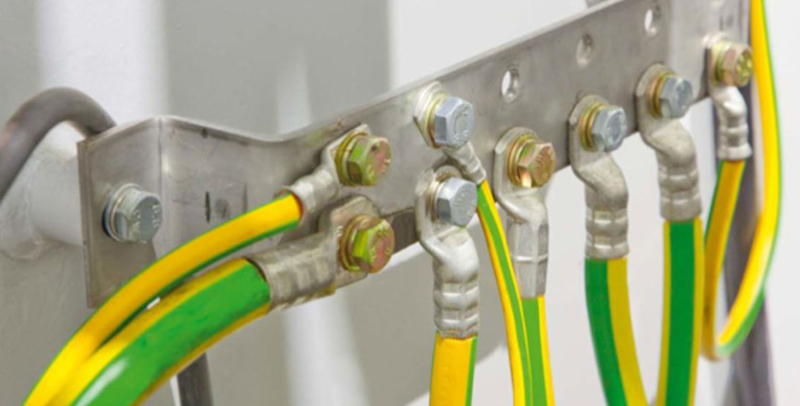 AMP Electrical - Blog - What is Earthing and Bonding? What is Earthing and Bonding? If there is a fault in your electrical installation you could get an electric shock if you touch a live metal part. This is because the electricity may use your body as a path from the live part to the earth part. Earthing is used to protect you from an electric shock. It does this by providing a path (a protective conductor) for a fault current to flow to earth. It also causes the protective device (either a circuit-breaker or fuse) to switch off the electric current to the circuit that has the fault. Bonding is used to reduce the risk of electric shocks to anyone who may touch two separate metal parts when there is a fault somewhere in the supply of electrical installation. By connecting bonding conductors between particular parts, it reduces the voltage there might have been. The types of bonding generally used are main bonding and supplementary bonding. Local Electricians in Braintree, Essex. At AMP Electrical our team of fully-qualified electricians have many years’ experience in installing and testing earthing and bonding. We know the importance of ensuring the safety of homes and businesses across Essex and London. We are happy to give you advice on whether your bonding or earthing need updating and can of course carry out the work for you. We are NICEIC approved so you can be sure that our work meets the highest standards. Get in touch with us today for advice and a free quote!